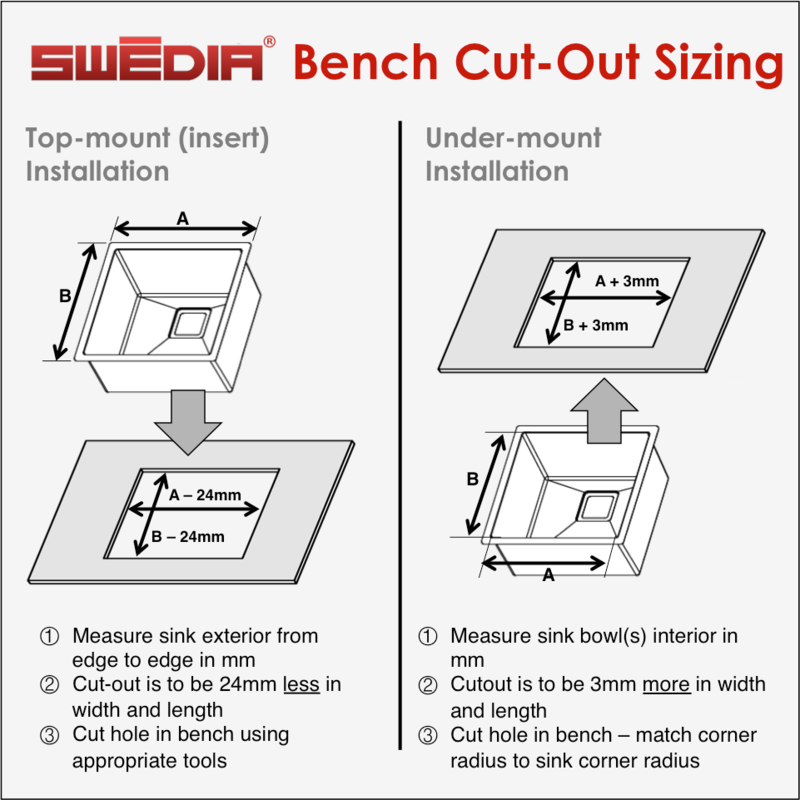 The SWEDIA® Dante 1+3/4 bowl kitchen sink allows you to use the main bowl while enjoying an extra 3/4 bowl addition. 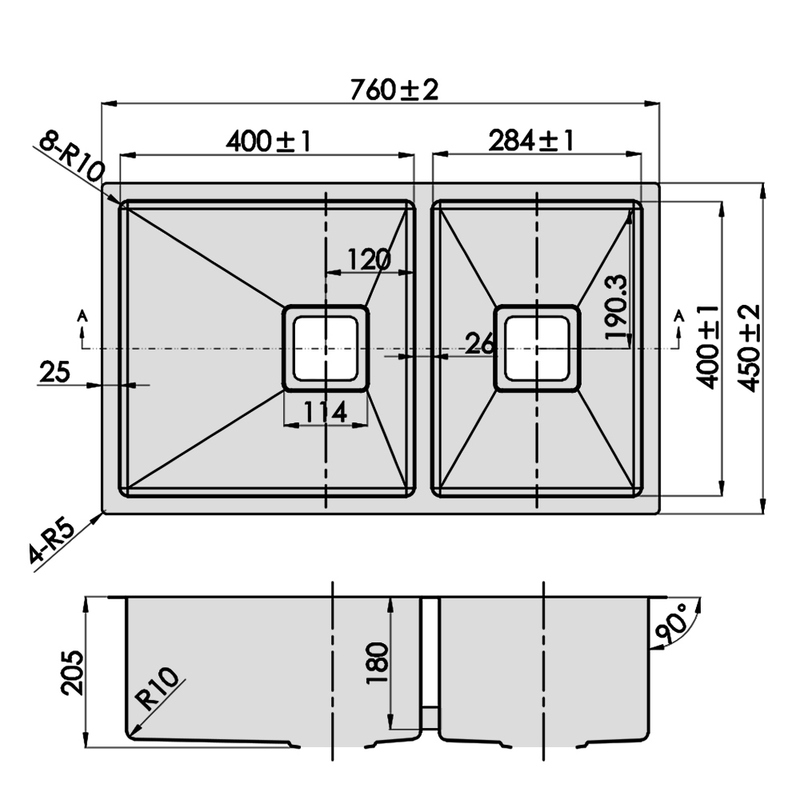 It is a top end quality sink for a high-end, contemporary kitchen. 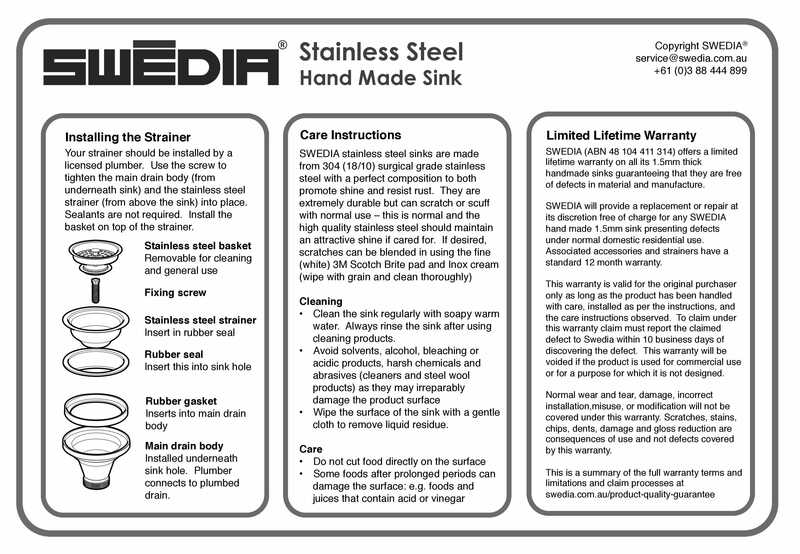 The 1.5mm thick 304 grade stainless steel is the strongest and most durable material on the market. 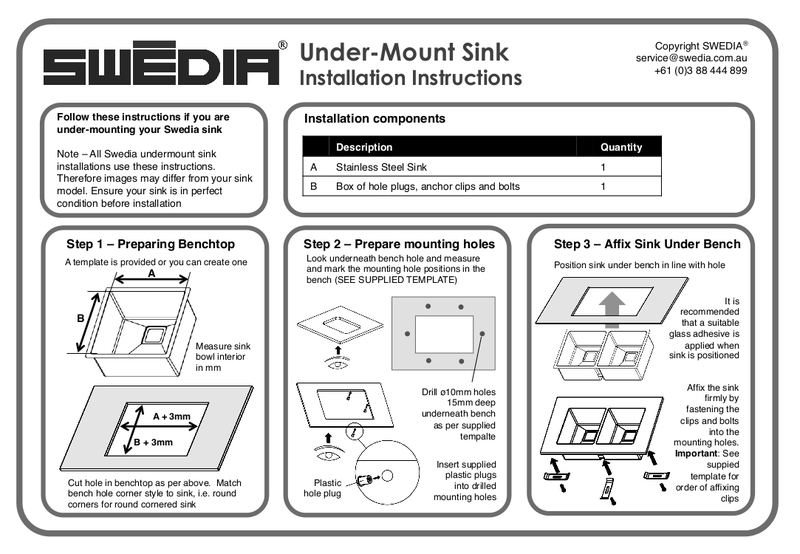 Because of this, the Dante 1 3/4 Bowl kitchen sink has a lifetime manufactures warranty. 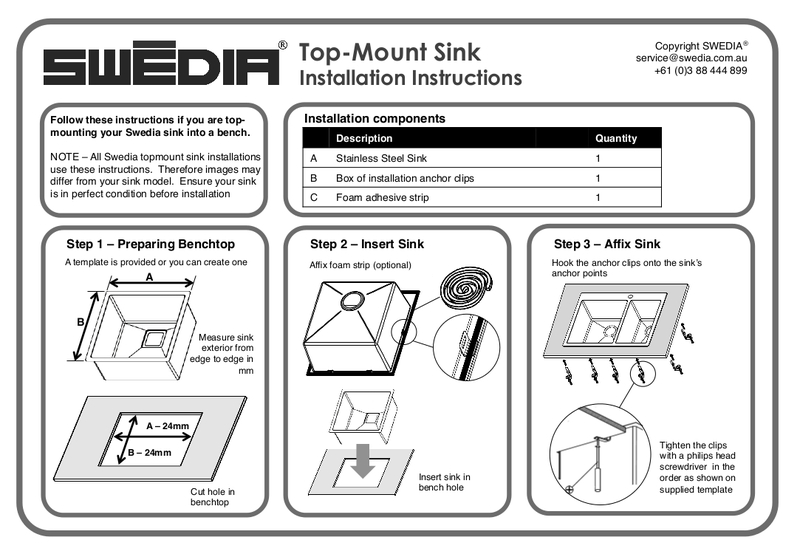 Able to be top mounted or under mounted, the Dante 1 3/4 Bowl includes brackets for both installations in case you are undecided about your kitchen sink style. The 6 sound baffling pads and anti-condensation spray work together to reduce noise, maintain temperature and minimalise water damage underneath your sink. With 10mm radius wounded corners to ensure easy cleaning and a brushed finish for the most practical kitchen style, the Dante 1 3/4 bowl kitchen sink is an excellent choice for any family kitchen.